Pakistani troops on Tuesday again resorted to unprovoked firing along the Line of Control in Jammu and Kashmir. The Pakistani forces violated the ceasefire in Arnia sector, according to sources. Meanwhile, taking the safety measures, residents of the sector migrated to safer places on Monday. The locals had arranged food for those affected by firing from the other side of the border. 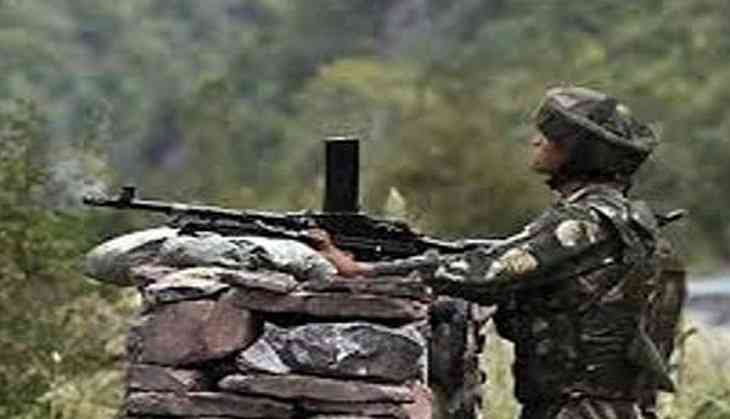 Earlier on May 18, Pakistan violated ceasefire along the Line of Control (LoC) in RS Pura and Arnia sectors, killing a total of five people including one Border Security Force (BSF) jawan and four civilians. The Central government has ordered to suspend the security operations against terrorist in the state during the holy month of Ramzan. The Home Ministry said the decision has been taken to help the "peace-loving Muslims observe Ramzan in a peaceful environment".